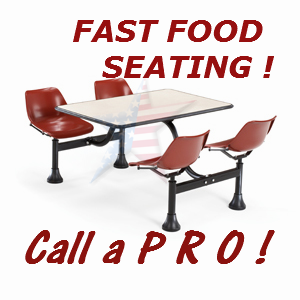 Homeland Manufacturing, Inc > Fast Food Seating, Steel Swivel Seats, Economical > Cafeteria Table 1004, Steel Seats/Stainless Tops. 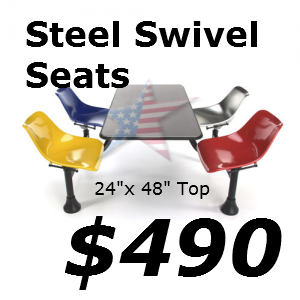 Cafeteria Table 1004, Steel Seats/Stainless Tops. 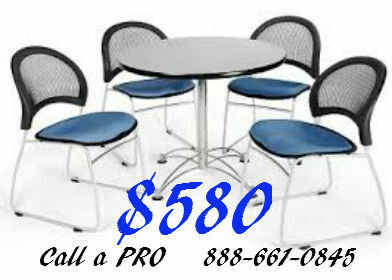 Cafeteria Table 1004, with Attached Steel Seats are All Ways in Stock! 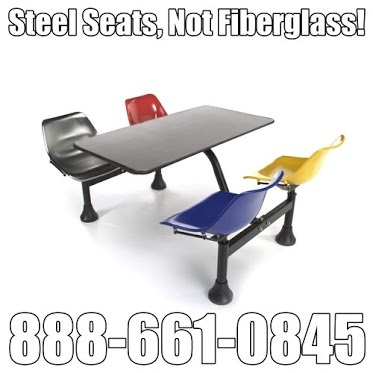 Economical, Sanitary, Rugged, Stylish, Attractive, 888-661-0845. 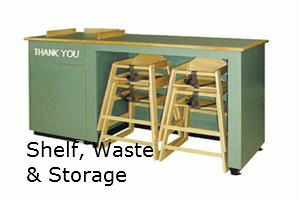 Click On Photo For Good Looking Trash Ideas ! 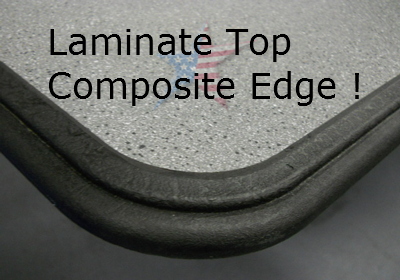 Description: See V I D E O Below! 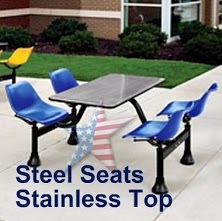 CAFETERIA TABLE 1004, with Steel Powdered Coated Painted Seats & Stainless Table Tops! 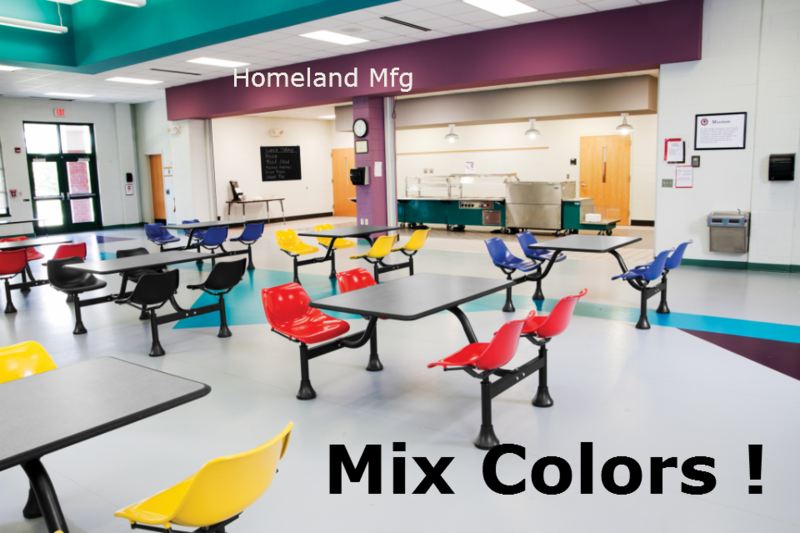 Our Cluster Cafeteria Tables with STEEL SEATS works great both indoors and outdoors, from playgrounds to lunchrooms! 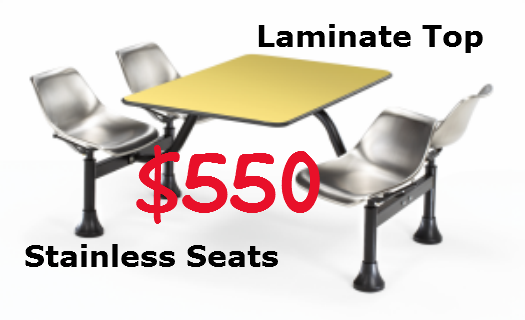 The Laminate table top includes 4 attached painted chairs with an auto-return swivel feature for ease of entry and exit. 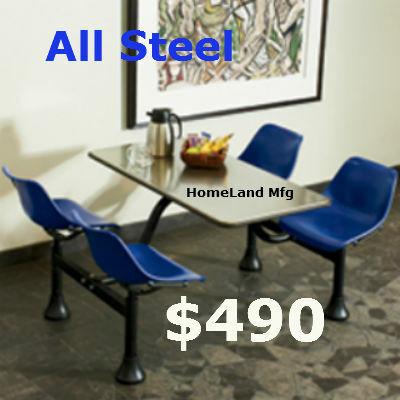 Our Canteen Style table and chairs are both waterproof and fireproof and the frame features a scratch-resistant powder-coat paint finish. Carton Cube: 1.70 cu. ft. + 2.91 cu. ft. + 2.64 cu. ft.